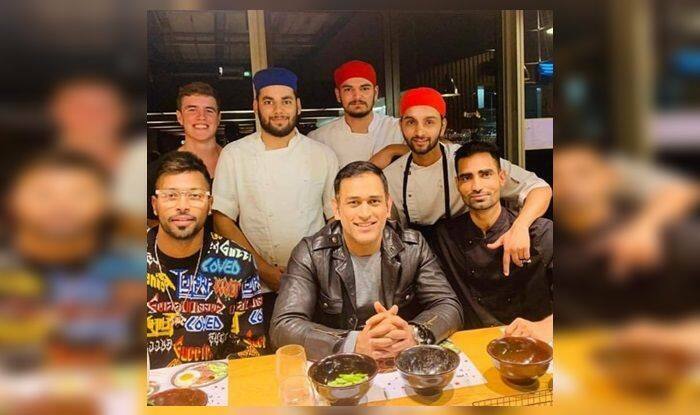 India vs New Zealand 2nd T20I: Former India captain MS Dhoni and allrounder seemed to have had dinner together in the team hotel where the Indian cricketers interacted with the hotel staff and obliged to selfies. India vs New Zealand 2nd T20I: Former India captain MS Dhoni and allrounder seemed to have had dinner together in the team hotel where the Indian cricketers interacted with the hotel staff and obliged to selfies. It seems the two cricketers are winning hearts away from the cricket field as well. One also gets the feeling that the team is upbeat after the convincing seven-wicket win at Auckland which helped the Men in Blue level the ongoing three-match T20I series and force a decider. The last T20I will take place in Hamilton. Here are pictures of MS Dhoni and Hardik Pandya twining over dinner.